When thinking about buying their first home, most would-be buyers are somewhat discouraged about having to come up with a sizable down payment. For many people, this is the largest stumbling block of the entire process. It need not be so. Yes, lending requirements are tighter than they were 5 years ago. And yes, there are a multitude of programs to help you do so, from outright grants to loans featuring below-market interest rates. Just about every state has some form of assistance program, and there are a great multitude of local incentives at the community level. If you’re thinking you’ll never be able to save enough money for a down payment on a house, you’re probably wrong. Read on to discover the contact information for all the programs in your area (our state directory of programs is at the bottom), as well as some general advice surrounding the topic, which we’ll cover next. Do not allocate all of your savings toward the down payment of your new home and the closing costs. With the main focus being on the purchase of you new home, you may forget about additional expenses that come up with moving. Remember that you will have moving expenses as well as additional utility costs for set up. Also remember that you will need to pay closing costs and property taxes as well. Once creative way for cash challenged buyers be in the market to buy a property is a lease-to-buy or rent-to-buy agreement. In this case the rent payment, or a part of it, goes towards the down payment of the property. These types of deals can be negotiated. You live in a home for a year, the entire time making monthly lease payments of, let’s say $1,000.00. If you can find a seller who will entertain this type of arrangement – and they are out there – you might be able to negotiate 50% of the monthly lease payment going towards the eventual down payment. Thus, after a year, you’ve built up $6,000.00 that will be applied. Combine this with other methods, such as getting one of the programs described in our state directory, and you’ll be surprised at how easy it will be to come up with it. Be truthful with your agent. If you are not serious with purchasing or if you are not buying a house soon, you should let your agent know. Tell your agent about your situation or if you are using more than one Realtor. Your agent will be your face and he or she should know your situation. 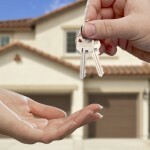 When buying a home after a previous home has foreclosed, you may be asked for a larger payment. In many cases this is usually around twenty percent. The larger the payment you can put on a new home the lower the interest rate is going to be for your loan. A smaller down payment equates to higher risk in the lender’s eyes, and the lender will charge a higher rate of interest to cover the higher risk. When trying to come up with this, there are some helpful things that you can be doing. Ask for financial help from your parents, start selling some extra stuff you have lying around that you no longer need, or you can take money out of your retirement funds. Just make sure to pay yourself (and you parents!) back. Know your finances before you start looking. By having an idea of how much you can offer for a down payment and talking to a bank to see how much you can get pre-approved for a loan, you will know what types of houses you will be able to look at. Before you determine the price range of the house that you will want to purchase, you need to take a look at how much money you have saved up in your savings account. This will tell you how much you can afford to put down as well as making sure you would have enough for closing costs and moving expenses. When you are getting ready to apply for a mortgage, try to make sure that you can document as much of your assets as possible. If you can have a paper trail of where your savings came from as well as what other income will be available after you put down your down payment, it will make it easier for you to get a loan. Many first-time home buyers make the dire mistake of failing to budget beyond the initial payment. In most cases, moving and closing costs can account for as much as ten percent of your total loan amount. Prepare yourself by requesting an approximate estimate of costs from your mortgage broker or lender. If you are having trouble coming up with it for the home that you want, you may want to consider asking your lender about an 80/20 loan. You will be able to get a loan to cover it and another to cover the cost of the home. There are many of these types loan programs, some that actually are forgiven if you remain in your home for a certain number of years, offered in many states. Check the state directory below to see what is available in your area. Attempt to get a loan even if you do not have a 20 percent of it. 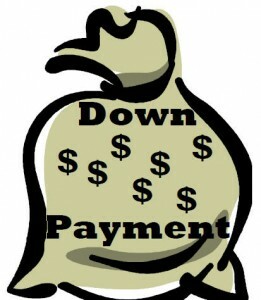 Although it is common to find loans that require a down payment of this size, there are loans available that will allow you to put down much less. Do your research, and find a lender that meets your individual needs. Always get a pre-approval letter. Don’t confuse pre-approval with pre-qualification, as they are two completely different things. It’s easy to get pre-qualified, as this doesn’t require anything more than giving a mortgage lender your information. A pre-approval letter is only given after the details have been verified, such as employment details, income, and the source of your payment. This way, you won’t be disappointed when you make an offer on a house, only to find that you don’t qualify for the loan. Have a garage sale, or consider selling off some of your furniture or electronics in order to have a downpayment for buying a house. You can always re-purchase these things later on after you are in your great new home. Consider it a temporary separation in order to get what you want. Alabama: The state of Alabama offers several programs. For information on what is available, please visit Alabama Programs. Alaska: The state of Alaska offers several programs. For information on what is available, please visit Alaska Programs. Arizona: The state of Arizona offers several programs. For information on what is available, please go to Arizona Assistance Programs. Arkansas: The state of Arkansas offers several programs. For information on what is available, please visit Arkansas Programs. California: The state of California offers multiple state as well as local programs. For information on the program details, please go to California Incentive Programs. Colorado: The state of Colorado offers only one program, but there are plenty of local programs within the state. For information on its details, please go to Colorado Incentive Programs. Connecticut: The state of Connecticut offers one program, and there are multiple programs offered by various cities in CT. For information on the program details, please visit Connecticut Programs. Delaware: The state of Delaware offers a single assistance program. For information on the program details, please visit Delaware Assistance Program. Florida: The state of Florida offers several programs. For information on these programs, please check out Florida assistance programs. For details on these programs, please go t0 Georgia Incentive programs. Hawaii: The state of Hawaii offers one form of help. For information on the program details, please visit Hawaii Assistance Program. Idaho: The state of Idaho offers two programs. For details on these programs, please visit Idaho Programs. Illinois: The state of Illinois offers one assistance program. For information on the program, please go to Illinois Assistance Programs. Indiana: The state of Indiana offers several programs. For information on these programs, please visit Indiana Incentive Programs. Iowa: The state of Iowa offers many assistance programs. For information on what is available to first time home buyers, please visit Iowa Programs. Kansas: The state of Kansas offers only one form of help, but there are other programs available locally. For details of these programs, please go to Kansas Assistance Programs. Kentucky: The state of Kentucky offers several programs. For information on these programs, please go to Kentucky Programs. Louisiana: The state of Louisiana offers several assistance programs. For details of these programs, please visit Louisiana Assistance Programs. Maine: The state of Maine offers two programs through the Maine State Housing Authority. For details on these programs, please visit Maine Incentive Programs. Maryland: The state of Maryland offers several incentive programs. For details on these programs, please go to Maryland Programs. Massachusetts: The state of Massachusetts offers a variety of incentives. For information on these programs, please go to Massachusetts Assistance Programs. Michigan: The state of Michigan offers only one type of help. For details of the program, please visit Michigan Incentive Programs. Minnesota: The state of Minnesota offers several programs. For information on these programs, please go to Minnesota Programs. Mississippi: The state of Mississippi offers a variety of assistance programs. For information on these programs, please visit Mississippi Incentive Programs. Missouri: The state of Missouri offers two incentive programs through the Missouri Housing Development Commission. For details on these programs, please visit Missouri Programs. Montana: The state of Montana offers several programs. For details on these programs, please go to Montana Assistance Programs. Nebraska: The state of Nebraska offers several assistance programs through the Nebraska Investment Finance Authority. For information on these programs, please visit the Nebraska Incentive Programs page. Nevada: The state of Nevada offers three programs through the Nevada Housing Division. For details, please go to Nevada Programs. New Hampshire: The state of New Hampshire offers several incentive programs through New Hampshire Housing. For information on these programs, please go to New Hampshire Incentive Programs. New Jersey: The state of New Jersey offers several programs through New Jersey Housing and Mortgage Finance Agency. For information on these programs, please visit the New Jersey Assistance webpage. New Mexico: The state of New Mexico offers several assistance programs. For information on these programs, please visit New Mexico Programs. New York: The state of New York offers a variety of programs through the New York State Housing Finance Agency. For details on these programs, please go to the New York Incentive Programs webpage. North Carolina: The state of North Carolina offers several assistance programs through the North Carolina Housing Finance Agency. For information on these programs, please visit the North Carolina Assistance Programs webpage. North Dakota: The state of North Dakota offers a multitude of incentives through the North Dakota Housing Finance Agency. For details on these programs, please go to North Dakota Programs. 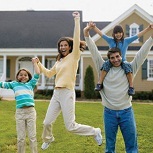 Ohio: The state of Ohio offers several programs through the Ohio Housing Finance Agency. For information on these programs, please visit the Ohio Down Payment Incentive Programs webpage. Oklahoma: The state of Oklahoma offers a variety of assistance programs through the Oklahoma Housing Finance Agency. For details on these programs, please visit Oklahoma Assistance Programs. Oregon: The state of Oregon offers several programs through Oregon Housing and Community Service. For information on these programs, please visit the Oregon Programs webpage. Pennsylvania: The state of Pennsylvania offers several programs through the Pennsylvania Housing Finance Agency. For more details on these programs, please go to Pennsylvania Incentive Programs. Rhode Island: The state of Rhode Island offers several incentive programs. For information on these programs, please visit the page for Rhode Island Assistance Programs. South Carolina: The state of South Carolina offers a variety of incentives through the South Carolina Housing Finance and Development Authority. For information on these programs, please visit the South Carolina Down Payment Programs webpage. South Dakota: The state of South Dakota offers two programs through the South Dakota Housing Development Authority. For details on these programs, please visit South Dakota Assistance Programs. 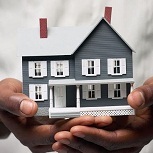 Tennessee: The state of Tennessee offers three assistance programs through the Tennessee Housing Development Agency. For details on these programs, please go to the Tennessee Programs webpage. Texas: The state of Texas offers three incentive programs through the Texas Department of Housing and Community Affairs. For details on these programs, please visit Texas Incentive Programs. Utah: The state of Utah offers two programs through the Utah Housing Corporation. For details on these two first time home buyer programs, please go to the Utah Programs webpage. Vermont: The state of Vermont offers two assistance programs through the Vermont Housing Finance Agency. For details on these two first time home buyer programs, please visit Vermont Incentive Programs. Virginia: The state of Virginia offers a variety of incentives through the Virginia Housing Development Authority. For information on these programs, please visit the Virginia Assistance Programs webpage. 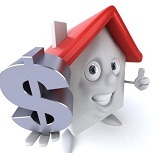 Washington: The state of Washington offers several programs through the Washington State Housing Finance Commission. For more details on these programs, please go to Washington Programs. West Virginia: The state of West Virginia offers several assistance programs. For more information on these programs, please go to West Virginia Incentive Programs. Wisconsin: The state of Wisconsin offers several incentive programs through the Wisconsin Housing and Economic Development Authority. For more information on the various first time home buyer programs available, please visit the Wisconsin Down Payment Programs webpage. Wyoming: The state of Wyoming offers several programs through the Wyoming Community Development Authority. For more information on these programs, please go to Wyoming Incentive Programs. This entry was posted in Down Payment Assistance, First Time Home Buyer Info. Bookmark the permalink.